The iPod touch seems to be on everyones shopping list this year, thankfully there’s some great deals floating around for the iPod and its many accessories . The iPod Touch from Amazon is a particularly good deal at the moment because you get a free speaker dock with the purchase. To get the free Butterfly Speaker Dock , follow an iPod touch link and then add both the iPod touch and this speaker dock to cart. You have to add the two items to your cart otherwise the Speaker Dock system won’t be free. The free speaker dock is a little strange looking but apparently it sounds pretty good and hey, it’s free, not bad right? The Altec Lansing deal is deeply discounted for a great iPod/iPhone speaker set, I have another Altec Lansing speaker dock and I really like it. 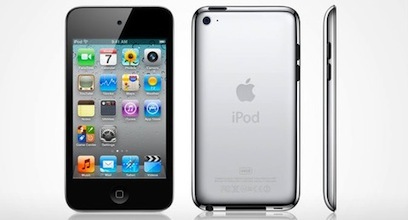 There is much more available, so check out more deals on Amazons iPod Store .